Mac Blake » Headlining Cap City… again! Hey hey. I just got booked to headline Cap City again. I had an amazing time last show and I got a real good feeling about this one. 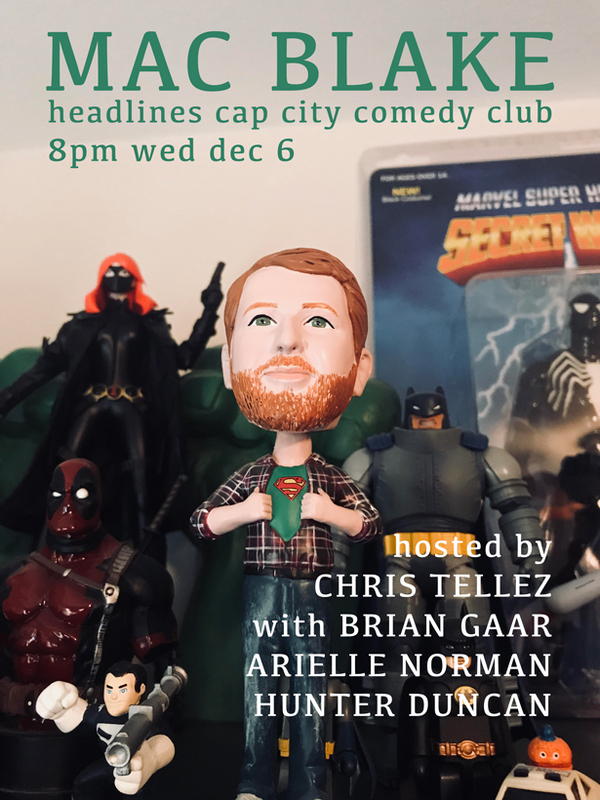 Get tickets here to join Arielle Norman, Brian Gaar, Chris Tellez, Hunter Duncan and myself on Wednesday, December 6th. Thanks!